Lariza Amon started her dance career at Miller’s when she was 6 years old and began assisting with classes in her freshman year of high school. 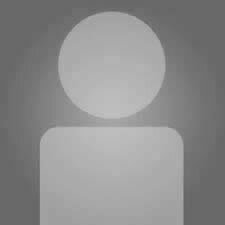 Lariza loved studying all sorts of classes, but primarily focused on ballet, jazz, and lyrical. She is currently working on her business degree from the University of Colorado Denver and enjoys working with the student’s at Miller’s. Kimberly Avalos (Tedder-Hernandez) is excited to be a part of Miller’s program. She holds a Bachelor of Arts degree in Musical Theatre from the University of Northern Colorado, teaching degrees in Elementary and Special Education with a Master’s degree in Special Education from University of Colorado, Denver. Her most notable musical theatre roles include Grizabella in Cats (reginal premiere), Eva Peron in Evita, Mrs. Johnstone in Blood Brothers (regional Premiere), Belle in Beauty and the Beast, Ellen in Miss Saigon, Anita in West Side Story, Rizzo in Grease, Sarraghina in Nine and Georgie Buckatinsky in the Full Monty . Additionally, Kim has recorded children’s musicals for Pioneer Drama Service, Inc., and has had supporting roles in independent films including, Eye Contact (Lucid Frames Media), and Valentine’s Day (Donald Kraus) as well as a featured role in The Stand Up Guy (Wombat Film). Kim has been nominated for an Ovation award for Best Actress in a Musical for her performance in Blood Brothers and Best Supporting Actress in a Musical for her performance as Grizabella in Cats. Kim was inducted in to the Hall of Fame at Eaglecrest High School in 2015. Renee graduated with a BA in Theatre with a dance emphasis from the University of Northern Colorado where she was the President of the Dance Alliance. She has performed in the Universities Main Stage and side Dance Productions, as well as local theaters throughout northern Colorado in such productions as Oklahoma and A Christmas Carol. She has been a principle dancer for the Longmont Theatre Company in Jesus Christ Superstar and Guys and Dolls and Choreographed for Suspenders; an original musical, and Fiddler on the Roof – for which she won Best Choreography at TARA Awards. Renee has also choreographed for Frederick High School musical performances and was head coach for Niwot High School’s Dance team while running the theatre program at Fusion Dance and Theatre and choreographing for Fusion in Motion. She has had to privilege to perform for Superbowl XXXIII in 1999. Aside from classical dance, Renee has an affinity for cultural, ballroom and world dance which she incorporates into her curriculum. When Renee’s time is not occupied with the arts, she is spending time with her daughters. Renee is very excited to share her knowledge and love for the arts with the students at Miller’s Dance. Matthew Cole began dancing at the age of 3 in his family's dance studio. Throughout the years, he has enjoyed dancing the roles as the prince and king in "The Nutcracker” the king in "Alice in Wonderland" . He also was a member of Miller's competition team, “Miller's Dance Force” for 10 years. While on the competition team, he studied under professionals with Jen Hamilton, Leo Morimine, Matthew Peacock, Marguerite Derricks, Justin Jiles, Mike Minery, Donovan Helma, Tyne Stecklein, Cory Anderson and Meisha Gabriel. He has enjoyed assisting and now teaching his own classes in Hip Hop and Contemporary. We are proud to have another family member to continue Ernie Miller's Legacy. Julia’s love for dance started at Miller’s Dance Studio at the age of 5. She continued studying Ballet, Tap, Jazz, Modern and Lyrical until she graduated in 1995. After graduating Julia went to University of Nevada, Las Vegas on a dance scholarship. Julia trained with Ballet Masters such as Alfredo Corvino, and Ernesta Corvino, of the Metropolitan Opera Ballet, and Julliard, as well as Margot Mink Colbert of Julliard. She studied Modern with Louis Kavouras from Erick Hawkins Dance Company, and participated in workshops, Master Classes and all performance opportunities at the University. After intense studies at UNLV, Julia was accepted into an exchange program to study in New York City. After moving, she attended Hunter College to continue dance studies. While studying in NYC, Julia continued training with the Corvino family, attending classes and workshops. Julia loved dropping in on classes of all genres from renown studios such as STEPS and Broadway dance. After moving back to Colorado in 2010, Julia is excited to be back with the Miller’s family that instilled her love and passion for dance, as she hopes to do for her own students. Jessica began studying dance at the age of 4 at Dance Unlimited in Oceanside, CA. She trained in ballet, tap, jazz, contemporary, hip hop and break-dancing. She spent 14 years competing locally and nationally and won numerous top awards. Jessica began her teaching career at the age of 16, teaching her first hip hop class at Dance Unlimited. Jessica is a proud graduate of California State University, Long Beach as a liberal arts major with an emphasis in communication studies. She spent 10 years teaching at various studios and high schools in Orange County and Los Angeles. She is currently a new Denver resident and looks forward to sharing her love of dance with the students at Miller Dance! Ashlee Fritz has been dancing with Miller’s since the age of 5. During her time as a student, Ashlee enjoyed learning many forms of dance including ballet, tap, jazz, lyrical, modern and baton! She has held many featured roles in the annual Spring Recitals as well as Clara in The Nutcracker. She is an original member of Miller’s competition group, Tour De Force and enjoyed winning many awards and titles alongside her fellow teammates. Ashlee began assistant teaching for Miller’s while in high school and later taught her own classes throughout college. She attended the University of Northern Colorado where she obtained her Bachelor’s Degree in Education and currently holds a Colorado Teacher’s Licensure for grades K-5. While attending UNC, Ashlee auditioned for The Walt Disney World College Program and was selected to be dancer and character performer in the daily parades and shows at Disney’s The Magic Kingdom in Orlando. Ashlee has always grown up with a love and passion for working with young children. She holds over 15 years of experience as lead teacher to children 0-12 and has taught at some of the metro area’s best preschools. Her most important role and passion in life is being a mom to her son Leo, born in February, 2013! Ashlee is so excited to be back with her Miller’s family and looks forward to sharing her gift and love of dance with the next generation of dancers! Since the age of three, Donovan Helma has been dancing under the direction of his family operated dance studio in Aurora, CO. He currently continues his education through multiple dance conventions and tap festivals throughout the year. Donovan teaches and choreographs for multiple competitive studios in the Denver metro area and across the United States. He has performed on a Monday Night Football halftime show with the Big Bad Voodoo Daddy and for Montreal’s Danse Encore International Festival in a production by Tap’d Out. Donovan has taken the stage with modern tap legends such as Jason Samuels Smith and Dormeshia Sumbry-Edwards in a Greorgy Hines tribute show, Thank You Gregory. He is honored to have toured the United States, Europe and South Africa for 7 years as a lead tap dancer in Tap Dogs. He looks forward to continuing his dancing career and inspiring audiences and students nationwide. Kailyn began dancing at Millers Dance Studio at the age of three and has loved every minute of her constantly evolving dance career. Her desire to share her enthusiasm in dance with others came naturally and she began as a Millers’ teaching assistant at the age of twelve. She has been granted the opportunity to study with many great artists as well as being able to travel the country. After dancing for nearly a decade at the studio, Kailyn developed a unique way of reaching out to students. She has choreographed for Millers competition team as well as traveled and worked for competition companies nationally. Kailyn’s career changed direction in 2012 when her career moved into the medical / rehabilitation field. After working solely in the rehabilitation field for two years she discovered that giving to others at a local rehabilitation hospital is also close to her heart. During this absence from dance, Kailyn confirmed that her first love is still in the dance community. She is very happy to begin teaching again for a studio that cares so much about the student’s individual needs as not just dancers, but as people. She feels deeply about sharing her years of knowledge and experience with her students. From her own experiences with injuries, she learned that students need to keep strong bodies and flexible cores to avoid such injuries. Kailyn is a very positive, effervescent teacher and believes highly in developing dancers with strong, flexible bodies. Admittedly, Kailyn’s proudest accomplishment is being able to see her students take pride in their achievements as they grow as individuals and enjoy her classes. Rhianna started dancing at Miller’s at the age of 8 and got hired on after graduating from Denver School of the Arts in 2011 as a dance major. Through her many years at Miller’s, Rhianna studied many styles such as Ballet, Tap, Jazz, Pointe, Lyrical, Hip-Hop and Modern, taking a special interest in Tap and Hip-Hop. Rhianna was also a member of Miller’s competition team Tour de Force and received several scholarships during the 8 years that she was a team member. Currently, Rhianna is a student at Metropolitan State University of Denver majoring in Computer Information Systems and is a member of the Denver Dance Performing Troupe. Rhianna hopes to share her love of dance with her niece Kayleah and the students at Miller’s for many years to come. Katie has been in the dance world her whole life. Growing up a competitive dancer in Colorado since the age of 5, earning numerous scholarships and best dancer titles from many different competitions and conventions. While she has worked as a professional dancer, her love for teaching took over and that has been her main focus for the last 16 years. She has been recognized for her choreography both regionally and nationally, and has taught many dancers who are now in the industry, dancing in commercials, movies and touring with many different well known artists. While not teaching, Katie is also a licensed cosmetologist and a mother of 2. Andrea has danced her whole life. She grew up as a competitive dancer in Missouri winning many awards and titles throughout the midwest. She studies ballet, tap, jazz, hip hop, and lyrical and in high school was the captain and choreographer of the dance team. She attended Lindenwood University in St. Charles, Missouri where she fell in love with modern dance and earned a B.A. in Arts Management with a Dance Emphasis. She began assisting with dance classes at age ten when her younger cousin started taking class and knew she wanted to be a dance teacher right away. She began officially teaching at age eighteen and soon took on many classes focused on inclusivity in the dance room, foundational technique, polishing pieces for performances, and creative movement. She has taught at studios and recreational center and, after receiving a Master's degree in Teaching in 2011, in public schools. She has created dance programs in four schools in Colorado for students of all ages and abilities. Teaching is what bring her joy and inspires her to be a better person everyday. Tina Miller began dancing with her father at the age of 3. Early on she developed a love for tap, her father's favorite. She started teaching for her father in 10th grade while continuing her own dance education with Kit Andree and Phan Peterson. While dancing with Kit and Phan she performed at the Paramount Theatre doing 4 separate shows celebrating the 100th anniversary of the historic Moffat Tunnel with the remodel and reopening of the Paramount Theatre. She also performed in Hello Dolly with Theatre Together, Gotta Dance - Stars Fight Leukemia with Joan Van Ark, Robert Shields, and Donald O'Connor. She lived in New York for almost 5 years while continuing her dance training with Thommie Walsh, Chet Walker, Bill Hastings, David Howard, Finis Jung, Henry LeTang, After returning to Colorado, she joined her sister in running Miller's Dance Studio. She started teaching the adult tap 6 years ago and is enjoying teaching again. Kelsee danced from the age of three through college at Miller's Dance Studio taking classes from the great such a savion glover and Henry LeTang. While dancing and teaching at Miller's in her teens, Kelsee discovered her passion for teaching. She is currently the assistant principal at a preschool in Parker. Sabrina Miller-Helma began her life-long love for dance at age three when she began her dance training at her parent’s dance studio. Her technical dance training includes ballet, tap, jazz, lyrical and ballroom dancing. Her extensive training includes instruction from dance greats such as Tommie Walsh, Gus Giordano, Danny Hoctor, Roni Mahler, and Al Gilbert. While training, she discovered her enthusiasm for teaching at the age of 14. She continued her dance training at Colorado Ballet and Ballet Now throughout college and began perfecting her teaching skills. She has hosted master classes and received master instruction from Lane Alexander, Henry LeTang, Cory Finn, Gregg Russell, Mike Minery, Germaine Salsberg, Jason Samuel Smith, The Tap Dogs and Savion Glover. In 1976 she opened her own studio at Chambers and Hampden. A second location, Smoky Hill, was opened in 1992 and a third location, Parker, in 1994. She then opened up another studio in Saddle Rock at Gun Club RD. & E470 in 2007. Despite her busy administrative schedule overseeing the three studios and a faculty of 45, Sabrina still finds time to teach. Sabrina is currently a national competition judge for Spotlight Dance Cup, Kids Artistic Revue, and Dance Champs. She enjoys her family, and watching young children succeed in life with the gift of dance. Jada Minkin has graduated from the University of Central Oklahoma with a Bachelor of Fine Arts in Performance Dance. During that time she worked with artists, Adam Parson, Malaya, Cindra Che and Lorieta Livingston from LA and Jeff Amsden from New York. She also has performed at the Kennedy Center in Washington D.C. and here in Colorado with 7 Dancers Performing Company. Before moving to Colorado Jada performed West Side Story and Will Rogers Follies with Lyric Theater during their professional summer series. She also was a Yard Dawg dancer for the Oklahoma City Arena Football Team. Madison is a Denver, CO native. She trained at The Dancers Advantage in Park Hill. Madison went to Pittsburgh Ballet Theatre, ABT Alabama, and The Dance Theatre of Tennessee summer intensives before accepting a company position at DTT in 2011. She performed numerous roles with DTT in her 3 years with the company most notably first soloist in Cambodia by Jennifer Drake, Wade in the Water also by Jennifer Drake, and Spanish and Clara in the Nutcracker. She has danced numerous corps de ballet roles in Swan Lake, Ecole De Ballet, Coppelia, Carmen, Giselle, Yebo, Paquita, Hansel and Gretel, and in the Nutcracker. Madison moved back to Denver in 2014 and joined the Park Hill Dance Collective(PHDC). With PHDC Madison danced in Boundless by Karlyn Griswold, Interpersonal by Emily Hoch, All that Jazz re-staged by Emily Hoch, Set us Free by Karlyn Griswold, Forelsket by Lizzie Alcorn, and Spy Vs. Spy by Emily Hoch. Madison joined Ballet Ariel in 2015 and has danced many soloist and corps roles in Birth of Rock and Roll, Paquita, Cinderella, Les Sylphides, La Fille Mal Gardee, Rikki Tikki Tava, and Nutcracker. Her favorite roles with Ballet Ariel include Spanish and Arabian in Nutcracker, Demi Soloist in Les Sylphides, and Summer Fairy in Cinderella. Madison also joined Roots Dance Project in Atlanta for their 2016 Fringe Festival Performance of Seven Deadly Sins. Madison performed in Envy by Rachel Truitt, Sloth by Lisa Schmidt, and Devils Tattoo by Melissa Mitchell. She performed with Ballet 5280 in their debut show Four Seasons in May 2017. Madison is very excited for her third season with Ballet Ariel, as well as future performances with Park Hill Dance Collective and Ballet 5280. She is very eager to start teaching at Millers Dance Studio in the Fall and share her love of ballet with the next generation of ballerinas! Shelly Robertson is originally from San Diego, CA and has been dancing since she was two years old in many different styles including tap, jazz, lyrical, contemporary, ballet, hip-hop, modern, musical theatre, and swing. She first trained in tap, jazz, and ballet and studied ballet at a Royal Ballet Academy called Jean Hart's Academy of Dance for seven years. She received her main training from San Diego Dance Centre, with whom she competed and won at regional, state, and national competitions all throughout middle school and high school. She was chosen to be in Dennis Caspary’s opening number at the Las Vegas Nationals her Junior year of high school. She was on her high school dance team all four years, where she received Rookie of the Year her freshman year and eventually became Co-Captain her Senior year. She was also involved in the high school musicals for three years in a row as a featured dancer. She choreographed dances for both the musicals and the dance team during her four years of high school. She was a member of the Kansas State University Classy Cats dance team all four years of college, where she danced at football games, basketball games, bowl games, NCAA tournaments, parades, pep rallies, and attended the NDA Nationals Competition where they placed fifth. She also choreographed some of their routines during her four years on the team. Shelly received her Bachelor of Science in Dance and Bachelor of Science in Secondary Education from Kansas State University. Through the dance program at K-State, Shelly received many opportunities to perform, choreograph, and work with guest choreographers. Shelly also received her Masters of Science in School Counseling from Kansas State University. While receiving her Masters degree, she continued to participate in various dance performances and has been asked to judge for many high school dance teams and guest choreograph. Stefan Scheuermann began his ballet training at the Ft. Collins School of Dance in Ft. Collins Colorado where he performed numerous original roles created for him by F.C.S.D. While in Ft. Collins he trained and performed with Canyon Concert Ballet, dancing in their productions of The Nutcracker, Sleeping Beauty and various original C.C.B. productions over the course of 5 years. Stefan moved to Mississippi, where he danced with Ballet Theatre South, performing roles such as Sigfried in Swan Lake, Florimond in Sleeping Beauty, Oberon in A Midsummer Night’s Dream, the Prince in Cinderella, the Snow King in The Nutcracker and numerous original roles classical and contemporary. While in Mississippi, he commuted to New Orleans to train and rehearse with Ballet Hysell and other local studios. Stefan moved to Santa Fe, New Mexico where he performed in the inaugural season of The Old Santa Fe Music Hall before returning to MS and continuing with B.T.S. as a dancer, teacher, choreographer and assistant artistic director. Stefan returned to CO and joined Encore ballet where he wrote, choreographed and directed original ballets. He is delighted to take his 20 years of ballet teaching experience to Miller’s and work with their talented staff and fantastic young dancers. Reagan Shenk grew up in San Diego California. She began dance at the age of 5 and started competing at the age of 7. She trained in Ballet, tap, jazz, gymnastics, lyrical and hip hop. For 5 years in a row while Reagan competed with her dance team, her studio was titled “best in the west” from Showstoppers national Dance competition. At age 14 she stared teaching her own dance classes at another local studio that was just starting off. While still teaching, Reagan began high school and decided to take a break from dance to pursue competitive cheer leading. She joined her High School varsity team and the Mavericks all star CO-ED cheer team. Both teams traveled across the US winning national titles and taking both the UCA and NCA top awards. In 2001 Reagan was named top UCA cheerleader and tumbler/jumper in California. She was invited to become a part of the UCA staff but decided to continue college in San Diego instead. While in college she auditioned for a dance troupe named Fusion Force choreographed by Tessandra Chavez and other top choreographers. Fusion Force is a dance troupe in Southern California that performs for charitable events specializing in Hip Hop and contemporary dance. They also performed nightly at Sea world for their special events. While on the team Reagan was asked to choreograph a contemporary piece to perform at a televised awards show. Reagan was still teaching and performing in SD when she met her husband who is in the navy. After being together for a year, they got married and the navy moved them to Florida. Reagan began teaching at a local studio working with their competition teams. Her choreography won top titles and her production of the Mask won a national title. In 2008 Reagan and her family were stationed in Memphis TN where she began teaching at two studios. She taught jazz, contemporary, acro, hip hop, ballet and tap. Both studios brought home Platinum awards and special titles from multiple competitions. She recently moved to Colorado with her husband and two daughters Kenna and Kallie. Kenna just joined the MDF petite team and wants to become a dancer just like her mother. She will continue to share her love of all types of dance with the student of MDF. Andra Stecklein has a Bachelor of Arts degree in dance from the University of Colorado. In her earlier years she was a member of the Colorado Concert Ballet Company (now known as the Colorado Ballet.) She owned and directed the Colorado Academy of Dance for 2 1/2 years prior to working for Miller’s. A move to Aurora and the start of a family resulted in joining the staff at Miller’s where she has been a permanent fixture for the last 25 years. Although she has cut back tremendously on her hours, she still enjoys sharing her knowledge of dance with students of all ages. She continues to teach our most advanced level jazz dancers and thrives on the challenge. Andra has choreographed many award winning dances for Tour de Force, Miller’s competitive dance company. In addition, she has enjoyed choreographing numerous musicals for neighboring Aurora high schools. Her expertise probably lies in her ability to fine tune a dancer’s technique and help them achieve their fullest potential. Tyne Stecklein trained at Miller’s starting at the age of 3. There she had numerous performance, competition, and workshop opportunities which paved the way for her professional dance career. At age 17 she served as an assistant teacher for L.A. Dance Magic Conventions for their national touring season. She was chosen as an apprentice member of Evolution Dance Company directed by Mark Meisner, and was a featured dancer in Soul Escape Dance Company directed by Justin Giles. She has continued to perform with Soul Escape for the last two seasons as well. After graduating from High School, Tyne relocated to L.A. to pursue a professional career in dance. In her first year there, she was selected as a dancer for the national “High School Musical Concert Tour” as well as for the South American tour. She was a dancer in the movies, High School Musical II, The Curious Case of Benjamin Button, Stepbrothers, 17 Again, and the remake of Fame. Her television credits include Dance Revolution, Grammy Awards, Rose Bowl Parade Opening number, Dancing with the Stars, Academy Awards,an episode of Glee, a music video for Gym Class Heroes, and a commercial for Cafe Latte. She has also done numerous modeling jobs includling Adidas, Ryland Homes, and Varsity Spirit. At 19 Tyne was chosen as one of Cher’s dancers for her Las Vegas show at Caesar’s Palace. After doing that show for a year, she auditioned for Michael Jackson and became one of only two girls selected to dance for his 2009 London Show! Although this dream job never came to be she was honored to be a part of his memorial. Whenever she gets the chance, Tyne comes home to Miller’s to offer workshop classes and to choreograph competition pieces for TDF. She is always grateful for their training, loyalty and support. Lori Stecklein received her Bachelor of Fine Arts from Texas Christian University in Ballet. While training there, she immersed herself in the study of techniques of Modern Dance such as Graham, Humphrey-Limon, Horton, Taylor and an intensive study of Pilates. At TCU she had the opportunity to work with Fernando Bujones numerous times before graduating and moving to NYC. Once in New York, Lori danced professionally for a number of independent choreographers including the Broadway choreographer, Vince Pesce. She also produced, directed, choreographed, and danced in a show of her own. The last four years, Lori ran the dance program at Bishop Ford C. C. High School, while choreographing two full length productions there each year. Although Lori loves teaching, her main passion is choreography, for which she has won numerous awards. After having their son, Lukin, she and her husband decided to move to Colorado. 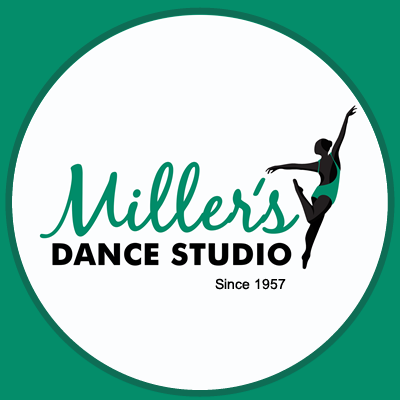 Lori is very excited to be sharing her knowledge and passion for dance with the students at Miller’s Dance Studio. Born in Denver CO, and raised in small town Anthony, Kansas. Alexis learned early on she had a passion for the arts. Alexis started dancing at the age of five and was apart of “CH Dance Productions” competition team for thirteen years. She is trained in jazz, tap, clogging, ballet, hip hop, modern, musical theater, and ballroom. Although dance was her first passion her heart really remained with the stage. Alexis landed her first professional musical theater role at the age of twelve when cast as “Oliver” in Oliver. She then went on to work with Music Theater Wichita where she was cast in “Xanadu”, “The Music Man”, and “High School Musical 2”. Her sophomore year of high school, Alexis landed the role of “Cheerleader/Ensemble” in Disney’s “High School Musical On Stage!” where she got to work with the Walt Disney Company. After high school, Alexis attended Wichita State University where she studied musical theater, dance, and integrated marketing communications. After college she moved to Los Angeles where she got to work in some national film and television shows such as; Gotham, Oceans 8, Skin Wars, and some music videos where she worked with artists like Blake Shelton. Alexis has been very fortunate to have worked with major companies such as Walt Disney, and Warner Brothers. She owes everything to her family and to God, without them none of this would have been possible! Alexis is very excited to be working for Millers Dance Studio! Adrienne was a gymnast for 11 years and began coaching gymnastics at 14. She has coached ages 2 – 30 in the 12 years since. At the University of Wisconsin-Madison, she majored in Secondary Education to pursue a career as a high school math teacher. After graduating in 2015, she spent two years in Chicago teaching Algebra 1 and Geometry in Logan Square, and in her free time coached tumbling and preschool gymnastics classes. In 2017, Adrienne moved to Denver to pursue her love of the outdoors. She now teaches at Smoky Hill High School, coaches tumbling at Miller’s Dance Studio, and hikes whenever she gets a moment of free time. Holly Woods is a native of Colorado with over 35 years of dance and gymnastic experience. Starting off at Aurora School of Gymnastics at 8 years old, and then on to Gymnastics Institute, where she competed until age 13. She moved on to diving, utilizing her gymnastic skills to have a successful diving career at Gateway High School, where she was the first freshman in the history of the school to qualify for state. As a sophomore, she became a member of the Gateway Poms, receiving 1st place at State in 1991, and was a co-captain her senior year and choreographed many of their routines. In 1995, Holly became the Gateway Pom coach. Over the next 3 years, she realized her passion for teaching. She went on to have many careers, ranging from Medical Assistant to Cosmetologist, never finding the right one. After staying home with her daughters for 4 years, she decided to follow her passion for teaching and attended Regis University, receiving her BA in Elementary Education with an endorsement in English Literacy. She is a teacher at Global Village Academy where she teaches 3rd grade as well as Cheerleading for grades K-5th. Her love and passion for teaching is what drives her everyday!